Small businesses, demand no more. 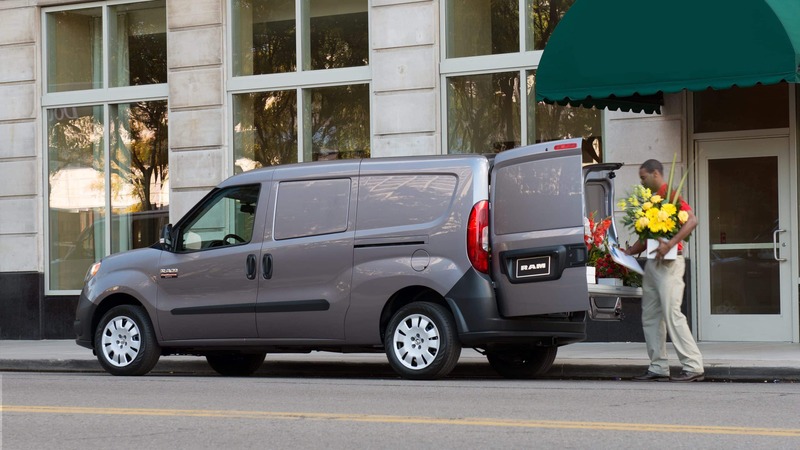 If you're looking for a van that has the capacity of a larger truck, yet drives and handles with the smoothness and predictability of a car, the 2018 ProMaster City is definitely a Class 1 van that you should incorporate into your day-to-day driving and deliveries. Don't let the compact build deceive you.This is the best class 1 you can get in terms of cargo load, towing abilities, and fuel efficiency to expand your business' output and range of capabilities. 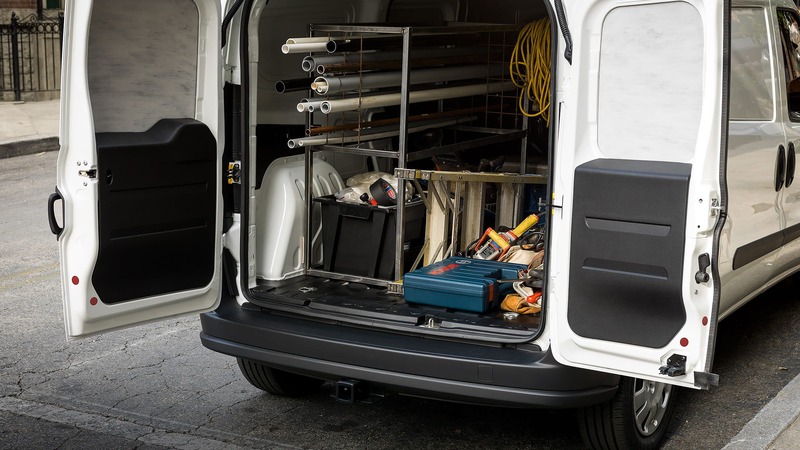 With a customizable cargo space that can either come in a two-seater Tradesman or a five-passenger Wagon, the ProMaster City is ready to help satisfy your customers and grow your business. 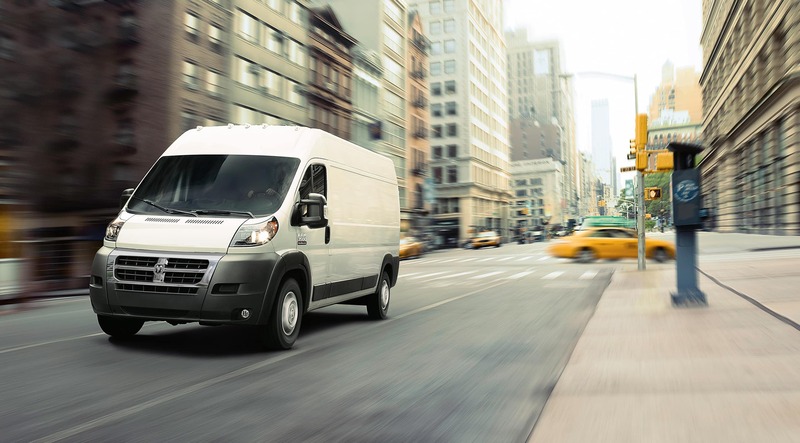 What can the 2018 ProMaster City do for my business? 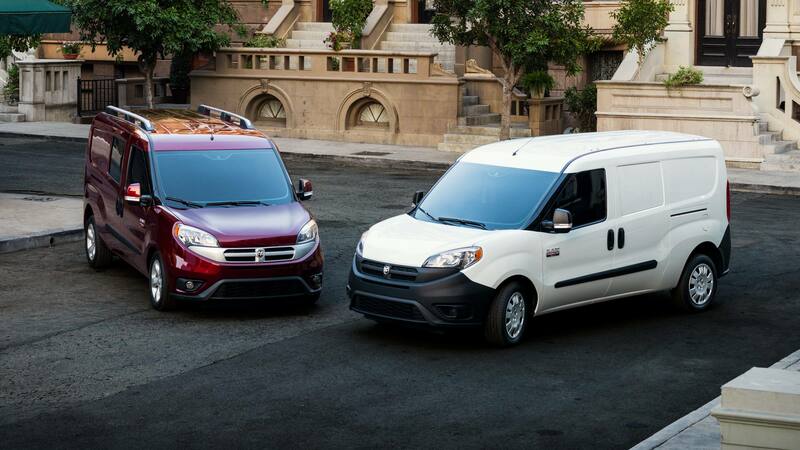 This commercial van is built to suit your needs even navigating through the narrowest city blocks. Maneuverability around corners is manageable thanks to a 42-foot turning circle and a European-minded compact design. 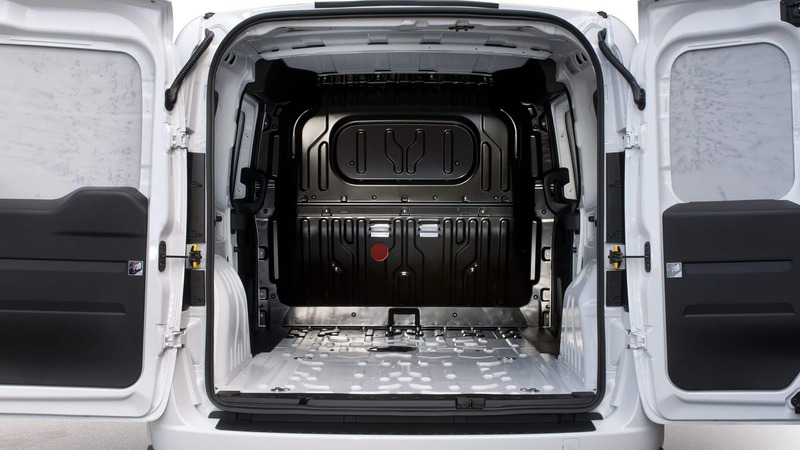 Inside offers a best-in-class 131.7 cu.ft cargo capacity, maxing out at 1,885lb payload. An optional roof rack expands on storage for items larger than the 87.2-inch loading length. 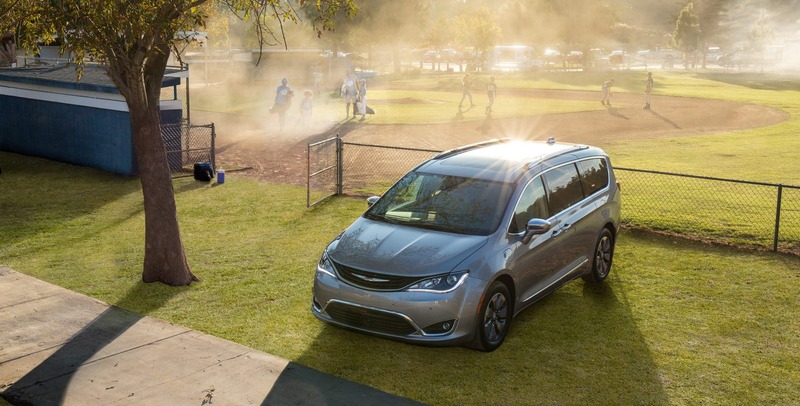 Additional abilities include the best-in-class 2,000lb towing capacity. The ProMaster City Wagon fills this space with additional seating to passenger and transport five with nine different seating configurations. Options include sliding doors for passenger entrance, and panel/window inserts. Rear doors swing 180 degrees with a 60/40 division. Loading and unloading is made easy with a step-in height of only 23.3 inches. 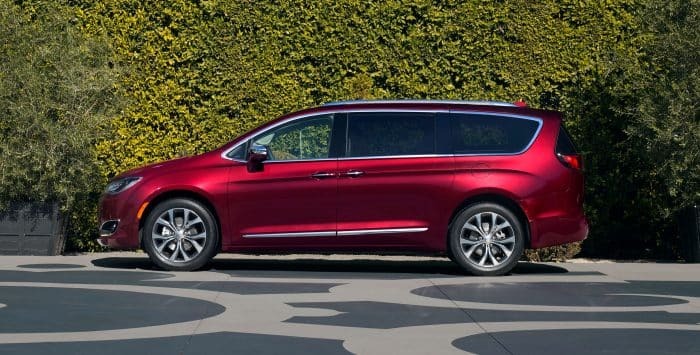 The ergonomic design continues into the front cabin, with comfortable, high seats that look over the lower hood design, and wide opening front doors. Handy additions for this model year include an above-windshield storage space for papers, standard Bluetooth for business on the go, and a rearview camera for easy backup. Custom shelving or drawers can be ordered into the rear to suit your business' particular storage needs. There are two available trims in both models: the base and SLT. The SLT offers a simple upgrade of higher end materials and detailing, including privacy glass, leather-wrapped steering wheel, lumbar adjustment, cruise control, and power adjustable mirrors. What powertrain comes in the 2018 ProMaster City? 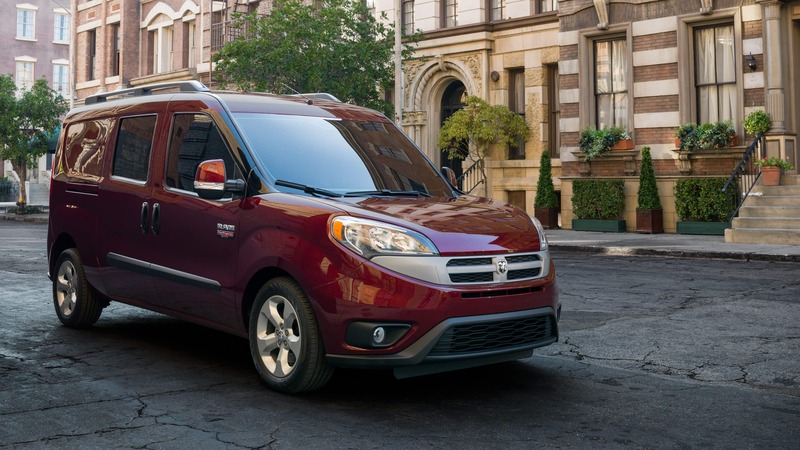 All models of the 2018 RAM ProMaster City are front-wheel drive and come with a 2.4L inline 4-cylinder, outputting 178hp and 174 lb-ft of torque. This engine is mated with a nine-speed transmission, smoothing out the shifting and increasing fuel efficiency with low shift urban cruising. Best-in-class fuel efficiency of 21/28 mpg is paired with a 16 gallon gas tank. How are the safety features in the 2018 ProMaster City? 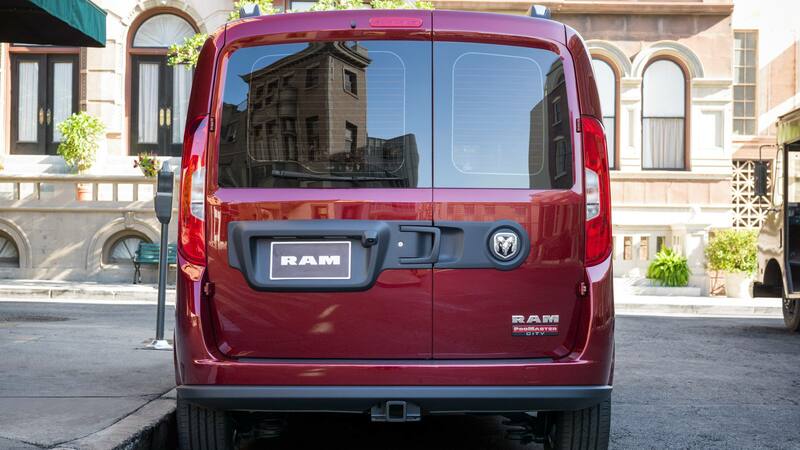 The 2018 RAM ProMaster City comes with a newly standard rear backup camera, trailer sway damping, electronic stability control with roll mitigation, and brake assist to increase maneuverability and aid in traction control. 4-wheel antilock brakes bring vehicle and cargo to a reliable stop. A trailer tow package is available to add to the system for a hitch receiver with four-pin and seven-pin wiring harness. 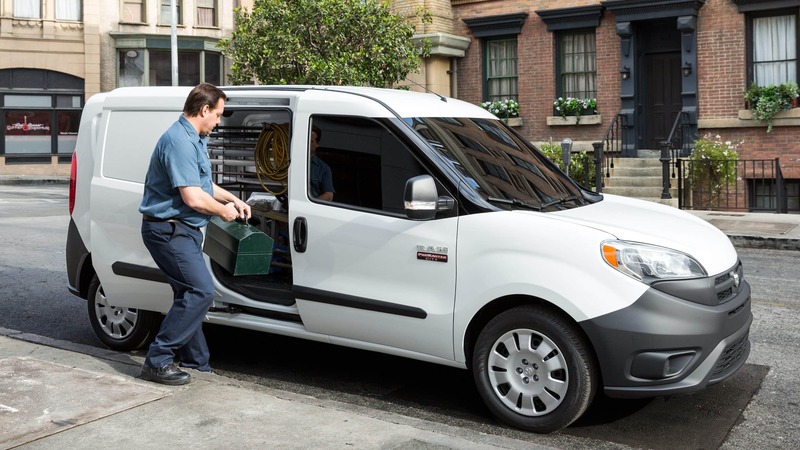 If you're looking to grow your business, or if you need a new and modernized drive to replace a previous hauler, the 2018 ProMaster City is a functional option that offers maximized capabilities and great storage space. 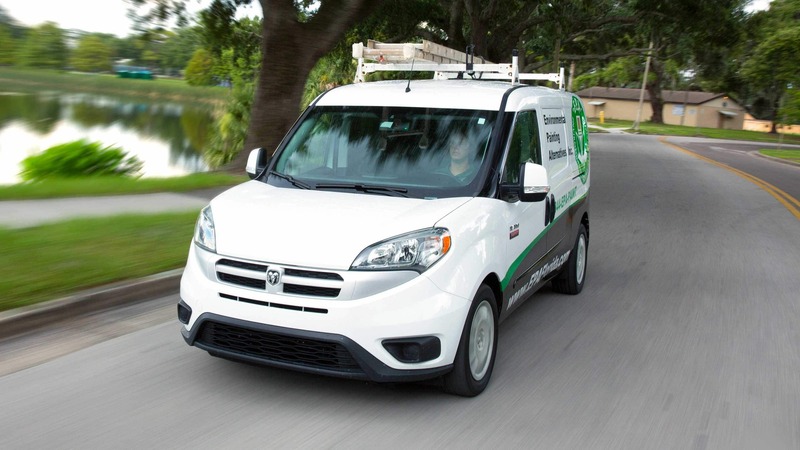 Great for the urban sprawl and efficient for highway cruises, this Class 1 van is ready to show you how to enhance your business with the durability to last you years.